Antiguan writer Joanne C. Hillhouse shares here the effort of getting her work “out there” through the lens one whose hometown is remote from the traditional publishing world. But her discoveries, and what it demanded of her, are familiar to every author who didn’t quit. I’m so proud to share Joanne’s essay with you here. Thank you, Joanne! Somewhere between Little Women, Jane Eyre, Are You There God, it’s me Margaret?, The Last of Eden and any number of foreign books I read and loved as a youngster, a seed was planted. Likely it was planted earlier than that. I’m sketchy on the details. What I do know is that there were a lot more books and films and such from outside than inside of my world; and that I wanted to be a writer but maybe didn’t believe it was possible. 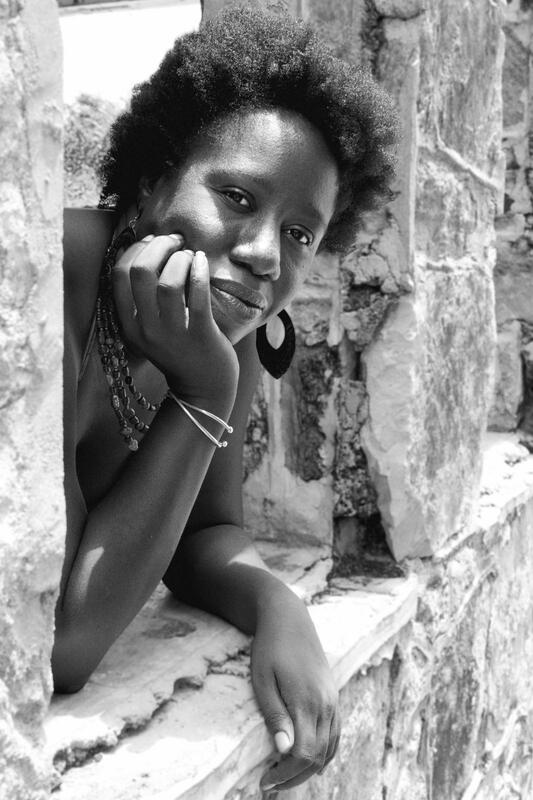 Today, somewhere between local calypso writers Shelly Tobitt and Marcus Christopher, and calypso giants like Short Shirt and King Obstinate in my Antiguan childhood; classroom introductions to Michael Anthony, Sam Selvon, Zora Neale Hurston, Langston Hughes, Toni Morrison and others; discovering Jamaica Kincaid and Annie John and a still evolving list of Caribbean writers; and owning up to what I really wanted to be, that seed sprouted. That’s the first challenge for a Caribbean writer, I think – when your 108 square miles is so far from the world where books are made and dreaming impossible dreams is encouraged – even now that the West Indian literary canon is well and truly established and technology has opened up opportunities for publishing: the Claiming, capital C. I am a Writer, capital W.
The second challenge: be careful what you wish for. That’s what no one tells you. Few things can compare with the validation that comes when you receive word that your book – after many cycles of rejection and self-doubt – has found a publisher. You feel happy and you also feel relieved and open – you’re not sure what to expect and you’re unsettled by that, but you’re also over the moon. Well, here’s what no one tells you. Your job is not done. See, writers, all we really want to do is write; many of us are the shy, awkward people at the party, the people whose heart thunders like a runaway herd at each invitation to step to the mic, who would just as soon write, not speak. And yet, once we’ve written, speaking is inevitable and, as it turns out, necessary; because you’ve got to sell, sell, sell. If you don’t want to be dropped, dropped, dropped. I know what it is to be dropped. Well, technically, to have my books go out of print. 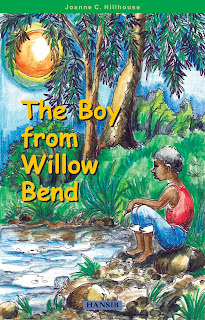 That’s what happened with my first publisher, just as Antiguan school officials started expressing interest in putting one of them – The Boy from Willow Bend – on the secondary schools' reading list. And swallowing the taste of bitterness, and the bitter irony of it, persistence paid off with a re-issue with a new publisher, and a determination to work that much harder, to sell, sell, sell. Still, all I really want to do is write, write, write. The other challenge: Space (internal and external) to create. There are bills to be paid and writing royalties don’t quite cut it, not for a writer still finding her legs in the vast land of publishing. So you work, and even if you’re fortunate enough to turn your skill into currency, the creativity that yielded your best work soon settles in the corner like dust left overnight then forgotten. This is compounded by the fact that there are very few writing programmes in or for Caribbean writers. I’ve been fortunate to participate in one of the best, the Caribbean Writers Summer Institute at the University of Miami on recommendation from my writing mentor at UWI, esteemed Jamaican poet, Mervyn Morris. 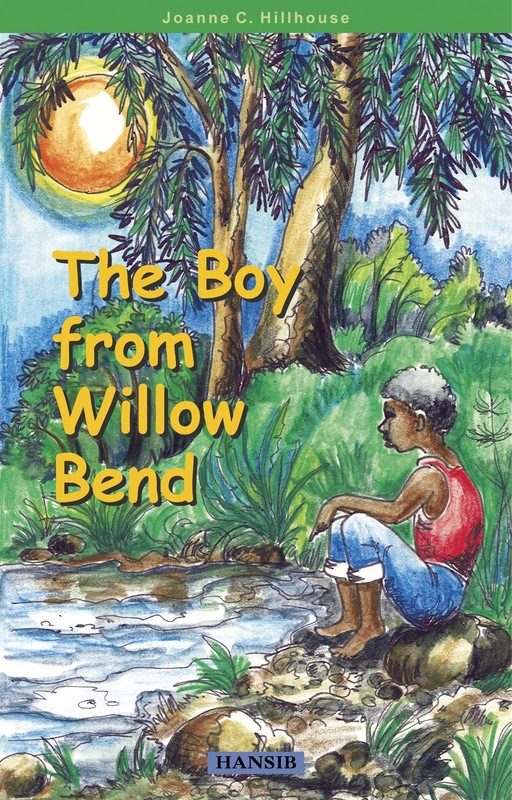 It was during this programme that I felt my limbs stretch and grow in new directions; it was during this time that I penned, substantially, The Boy from Willow Bend. And the opportunity to interact with other writers and make lasting connections and be in a world where creativity was encouraged was – like the ad says – “priceless”. I remember, shortly after Willow Bend was first published, I was at a Caribbean Canadian Literary Expo in Toronto listening to fellow Caribbean writer (Guyanese Literary Prize winner and Cropper Foundation alum) Ruel Johnson talk about the lack of nurseries for the literary arts in the Caribbean. That’s when I got the idea to introduce the Wadadli Youth Pen Prize to Antigua. I wanted to provide something I’d never had to young Antiguan writers. Though I’ve felt burned out enough by the work involved to put it on hiatus in the past, I still dream of making that programme all I envisioned it to be then. Not so long ago, I won a fellowship to the Breadloaf Writers Conference where I sat beside the likes of Oprah Book Club pick Ursula Hegi, my workshop leader and author of the superb Floating in My Mother’s Palm; had the opportunity to read and take workshops and learn and teach and just be in a literary space in the beautiful Vermont woods; and had people like Lynn Freed and Robert Boswell complement me on my reading – the reading I was so nervous about I fled the room as soon as it was done. It was amazing. It’s the kind of thing being a writer of and in the Caribbean I rarely get to do, but it’s awakened in me a yearning to seek out these programmes and the creative space they may offer to writers like me. And it’s re-awakened in me a desire to help create such spaces at home. And so Wadadli Pen is reborn and I do what I can to support other workshops and initiatives like the literary festival – even though it’s something else that takes me away from my own writing and, also, doesn’t pay the bills. I’m trying to learn as I grow – another challenge, to avoid repeating mistakes of the past, to find the balance needed to write while being a literary activist and working my own literary career. It’s a work in progress. I decided to seek representation, and part of what I hoped to accomplish at Breadloaf was find an agent. Challenging? Hm, it’s about as easy as finding a publisher – i.e. it’s not a writer’s market. I did get to meet a couple of agents at Breadloaf but could feel myself failing to hold the interest of all but one of the three with whom I managed to get face time. Still, I’d become convinced that to get your foot in the door you needed an advocate, someone who knows the lay of the land enough to advise you and nudge some doors open. And so now I have one, not from Breadloaf but through another contact I made prior to that at the Antigua and Barbuda International Literary Festival and on the strength of the manuscript submitted; my writing always spoke better for me than I could. And, on the heels of her recent call announcing a contract offer for my next book, I’m – knock on wood – hopeful of an even better publishing experience next time around. And now I find myself trying to make space again in my life for writing. I’m once again part of a fledgling writers group. Incidentally, one of our small group is actually a regular youth writing workshop leader and was with me and others like Unburnable author Marie Elena John part of a team of Antiguan writers who sought and won Commonwealth funding to attend Calabash in Jamaica, a highly stimulating experience. I hope to be similarly stimulated through my interactions with this small group and outside of it, to continue to strive for authenticity (and avoid self-censorship; another of those challenges for writers writing from a small place – just ask Kincaid). How will this story end? I don’t know. And that’s the scary exciting part of it. The part I’m not looking forward to is the sell, sell, sell of publishing – that part where you have to stand up in a crowded marketplace and shout, hey look at me, in a book selling world seemingly intent on keeping the wider audience you seek just out of reach (i.e. limiting you with labels that don’t begin to capture all you could be to a reader on the prowl for new material). We are not just a homogeneous bloc, Caribbean writers; we write sci-fi and romance and romantic histories and comedies and dramas and thrillers…readers in these genres might also find us interesting, if they knew we existed. That’s a challenge – how many is that now? – all the things you can’t really control; where you’re placed on a shelf, how you’re perceived in the reader’s mind, often even what the cover of your book looks like. For all of the dancing you have to do, the one thing you can really bend to your will – sometimes – is the writing; stepping into the deep end of publishing and trying to feel your way around that’s a crab hunt. So much to learn, and so many pages still to be written; but then that’s any writer’s yoke I suppose, and the Caribbean writer only a little more so for being off the map. An inspiring voice from the Caribbean. Very useful post as I am juggling the same issues and as an Australian living away from home for twenty years, now in Italy, I don't even know how to 'classify' my myself any more. So true about the need to sell, sell, sell. I am promoting my debut novel now and already terrified by the thought of mumbling through readings on a stage or sitting tongue-tied in front of a crowd..
And thanks for commenting, Divorced Lady; I actually just recently read your post about your book over at novel spaces. Small world.